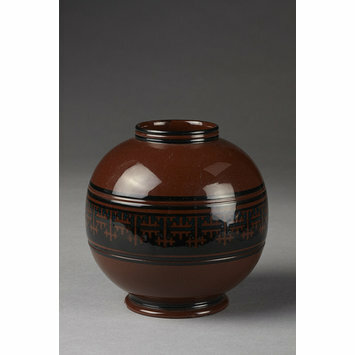 Vase of lead-glaze red stoneware and with inlaid and painted decoration. Globular shape with a small neck amd foot rim. 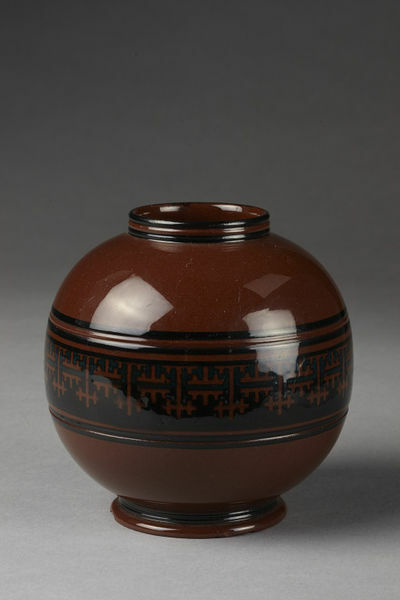 Decorated around the body with a band of geometric ornament in black and with lines at the rim. Vase of red stoneware with inlaid decoration, possibly designed by Christopher Dresser, made by Watcombe Pottery Co., Torquay , ca. 1871-1875.